As competitors have struggled to catch up to the performance and value of the phenomenally successful SeaBlazeX, Lumitec has pushed ever further ahead with the SeaBlazeX2. SeaBlazeX2 delivers the exceptional performance, quality, and value of the industry-leading SeaBlazeX with 60% greater output. 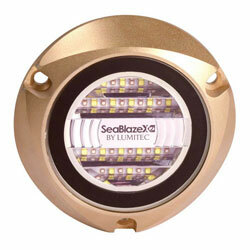 SeaBlazeX2 delivers more than 6,000 integrating-sphere-measured lumens. Surface mount, no external drivers and a pedigree of reliability recognized the world over.